E is for Explore! : Bounce! 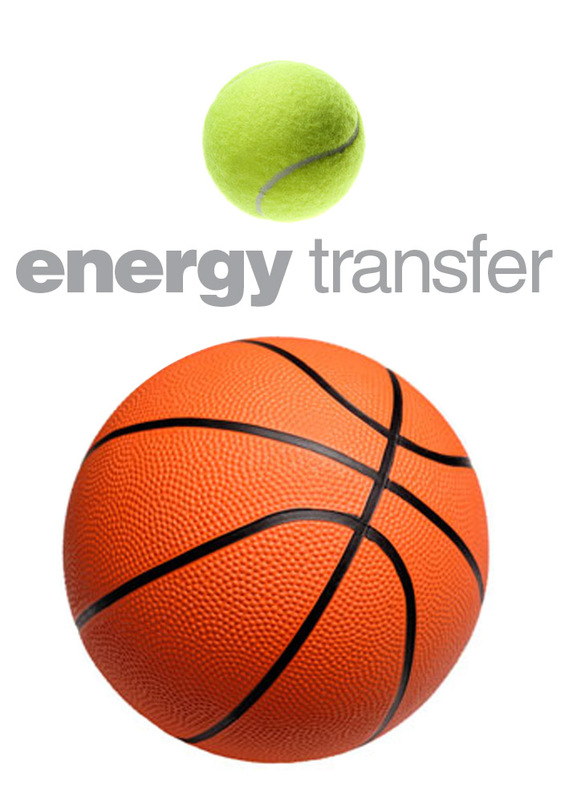 To help kids understand energy transfer, conduct this simple experiment that demonstrates potential energy (stored) and kinetic energy (moving). Also, talk about momentum, speed, and mass. 1. Bounce a basketball and observe how high it bounced. 2. Drop a tennis ball, taking note of its bounce. 3. Now, hold the tennis ball on top of the basketball and drop them at the same time. You will notice that the tennis ball bounced much higher than before. The basketball on the other hand, didn't bounce as high. "Momentum / energy from the basketball transferred to the tennis ball." - Physics.org. The basketball lost energy. The tennis ball gained energy, causing it to bounce much higher. Try holding the basket ball on top of the tennis ball. Does weight make a difference? Record your findings.